On this date in 388, Magnus Maximus, partially successful usurper of the western Roman Empire, was put to death by Emperor Theodosius. The late centuries of Rome witness many a rebellious general but the smart money in a civil war rarely fancied the guy whose power base was distant Britannia. With his bombastic name and balls to back it, Magnus bigly bucked those odds, defeating and murdering the western Augustus Gratian in Gaul in 383. From there he bossed Africa, Britain, and his native Spain for several years. The departure from Britain of this local chancer made good would prove to correspond approximately with the empire’s crumbling foothold on on the island, with the sandal-shorn Roman feet in ancient times last walking upon England’s mountains green in 410. As the last, most scintillating representative of Roman Britain, Magnus Maximus has survived into legend — extolled for example by Geoffrey of Monmouth as the title hero of “The Dream of Macsen Wledig”. In it, “Macsen”/Maximus weds a Welsh princess and sires a native dynasty, granting Brittany to the Britons in gratitude for their aid as he conquers Rome. But forget living in legend. The real Magnus Maximus, like every aspirant to the dangerous purple, mostly just worried about living out the next campaign season. Theodosius, having passed through Pannonia [routing Maximus in the process -ed.] and the defiles of the Appennines, attacked unawares the forces of Maximus before they were prepared for him. A part of his army, having pursued them with the utmost speed, forced their way through the gates of Aquileia, the guards being too few to resist them. 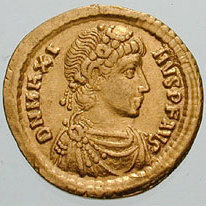 Maximus was torn from his imperial throne while in the act of distributing money to his soldiers, and being stripped of his imperial robes, was brought to Theodosius, who, having in reproach enumerated some of his crimes against the commonwealth, delivered him to the common executioner to receive due punishment. The poet Pacatus thereafter paid the conquering Theodosius homage for this victory in one of antiquity’s great panegyrics. (Enjoy it in the original Latin here.) Sure he lost the war, but how many figures are both magnus and maximus in fields as disparate as Celtic mythology and classical rhetoric? Audiophiles might enjoy history podcasters’ take on Magnus Maximus: he’s been covered by both the British History Podcast (episode 31) and the History of Rome Podcast (episodes 156 and 157). * After the post-Maximus arrangements Theodosius made in the west also went pear-shaped, necessitating yet another conquest and execution, Theodosius established himself as the emperor of both the eastern and western halves of the Roman world in 392. He was last man ever destined to enjoy that distinction. 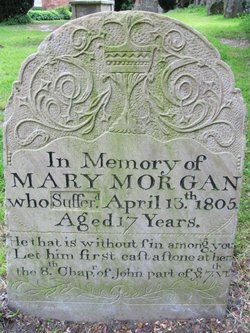 On an uncertain date perhaps around February 1136, the Welsh princess Gwenllian (or Gwenlhian, or Gwenliana) lost a battle to a Norman lord, who had her summarily beheaded. This execution occurred in the aftermath of the Norman conquest. Having taken England, those invaders had made inroads into its western neighbor, even temporarily occupying much of the country. But Welsh lords pushed the Normans back, and we find those Normans at this moment in disarray over an internal succession crisis — a period known as “The Anarchy”. Seeing the opportunity, Wales’s constituent principalities rose in a “Great Revolt”. 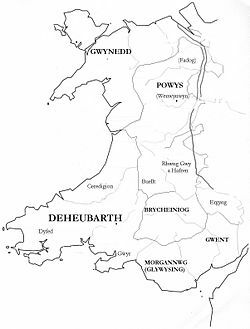 Gwenllian, that hottie from history, was daughter of the ruler of Gwynedd, married in a political match to the ruler of Deheubarth. While these two men in Gwenllian’s life met up with one another to plot their next moves, Norman raids on Deheubarth forced Gwenllian to lead a force into the field to fight them. Thy heart as happy day and night! Mid all our woe, O vision rare! Thy apple in thy hand thy all of earthly care. All Gwalia shudders at the Norman blow! Would cast away her crown to slumber thus like thee! There’s obvious, as-yet-unrealized commercial potential here in this sacrificial princess (though she’s not to be confused with Gwenllian of Wales). Word is that a silver screen treatment of the Gwenllian legend is circulating in Hollywood studios looking to duplicate the success of Braveheart.